Home / Shop / Brands / Body Solid / Body Solid EXM3000LPS Home Gym -2 Stack Multi Gym.New In Box . Call Now For Lowest Pricing Guaranteed! 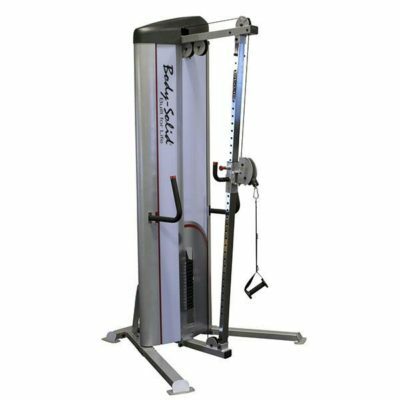 If maximum strength and a weight room full of workout options is what you want in a minimum amount of space, then try the BodySolid EXM3000LPS Home Gym on for size. 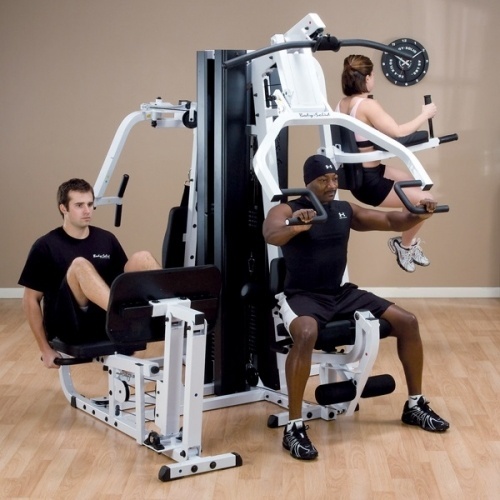 This multi-station workhorse provides health club quality strength training for up to three people simultaneously. 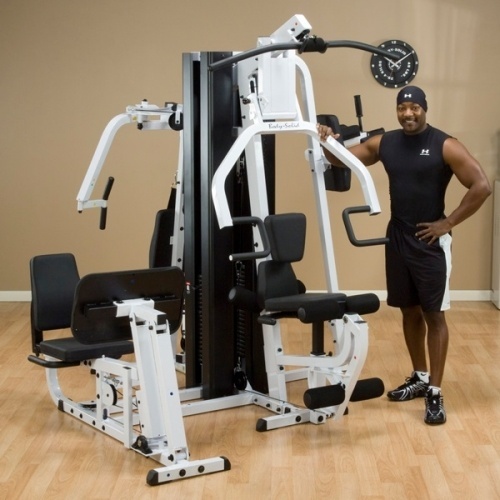 The Body Solid EXM3000LPS Home Gym features a multi-function Press Arm Station for bench press, incline press, shoulder press and chest supported mid-row exercises. The fully-adjustable Perfect Pec”! Station with range limiters allows users to achieve deeper muscle penetration for faster, more defined results. 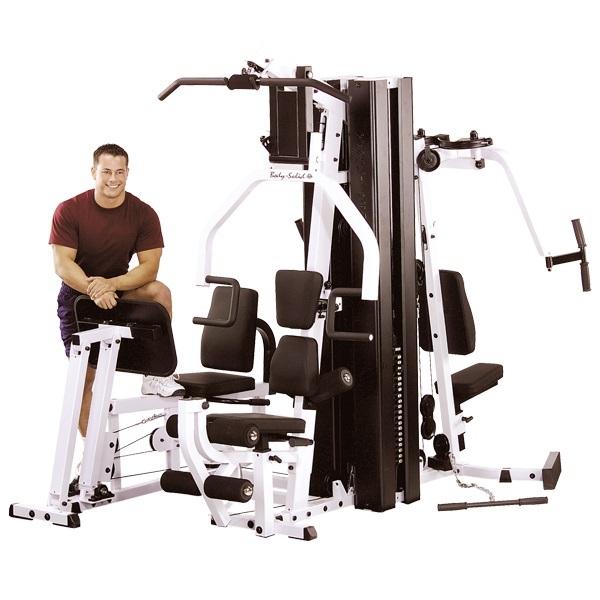 The Leg Press/ Calf Press Station operates on a 2 to 1 weight ratio giving the Body Solid EXM3000LPS Home Gym the awesome capacity of a 420 Lb. leg press! The non-slip, rubber encased foot plate is constructed of heavy-gauge steel for safe operation during the most intense workouts. 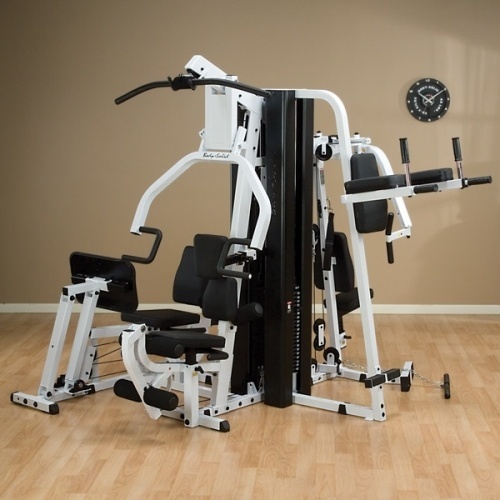 Always in the forefront of weight equipment design, Body-Solid gyms are engineered with meticulous precision and cutting edge ergonomic features. The thick, durable DuraFirm”! pads are contoured for lumbar support delivering the most comfortable workouts you will ever experience. Every pad, pop pin and pivot point feels natural. Both 210 Lb. weight stacks are within easy reach for a quick, safe weight selection. Leg Press/ Calf Press Staiton: It’ s Included ! 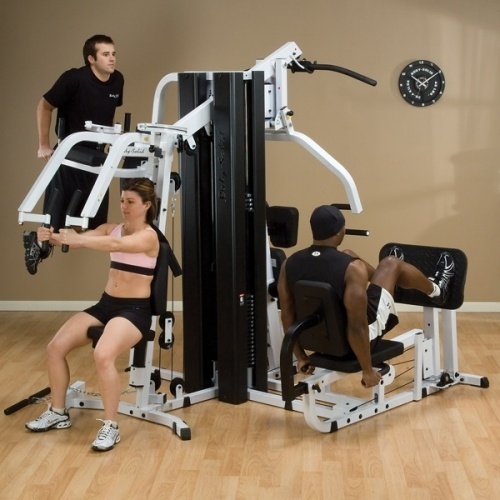 Unique two bar linkage self-aligns the angle of the leg press plate to the user s body eliminating ankle torsion and ensuring proper biomechanics throughout the full range of motion for all size users. Includes pillow block and sealed ball bearings for precision alignment and friction free movement. 2:1 ratio converts the 210 lb. weight stack into 420 Lbs. of resistance. 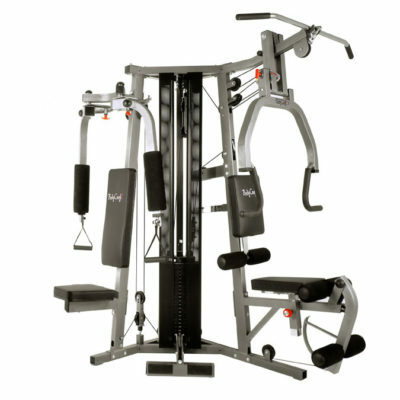 Features adjustable back pad with two position press plate for complete leg and calf development. DuraFirm™ Pads: Durable, tear-resistant, fully supported DuraFirm”! pads are double stitched and sewn. These high density, top grade pads provide a LIFETIME of support and comfort and will not bottom out or wear out .. . GUARANTEED! Call 888-785-3050 for Lowest Pricing and Availability!